Photolencha is a premium WordPress theme built for photographers. It includes easy to use galleries. 1. Unpack or unzip Photolencha. 2. 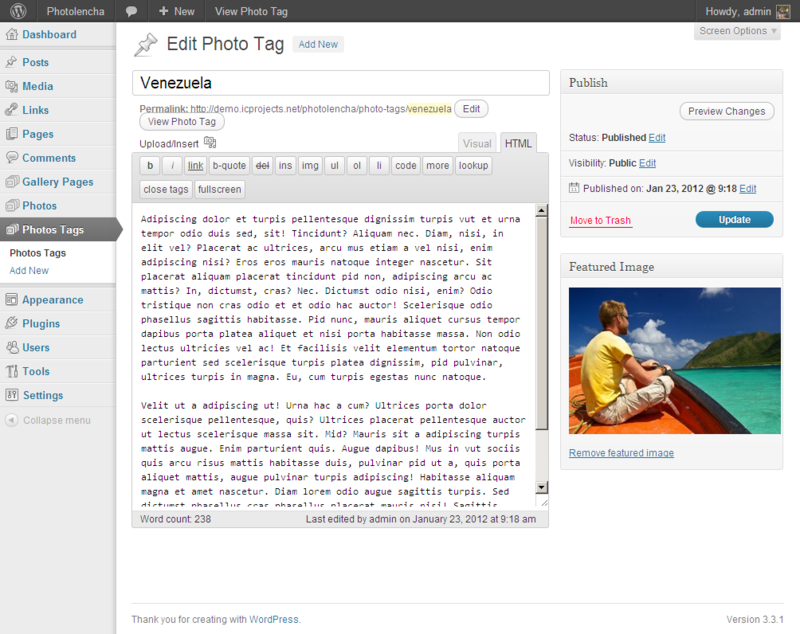 Upload the /photolencha folder to your /wp-content/themes directory. 3. Login to your WordPress admin and click the Appearance menu. 5. Click on the Photolencha theme to activate. First of all lets agree about terminology. Photo Tag is a tag for your photo. You can create as many Photo Tags as you wish. Each Photo Tag has its own page – example. 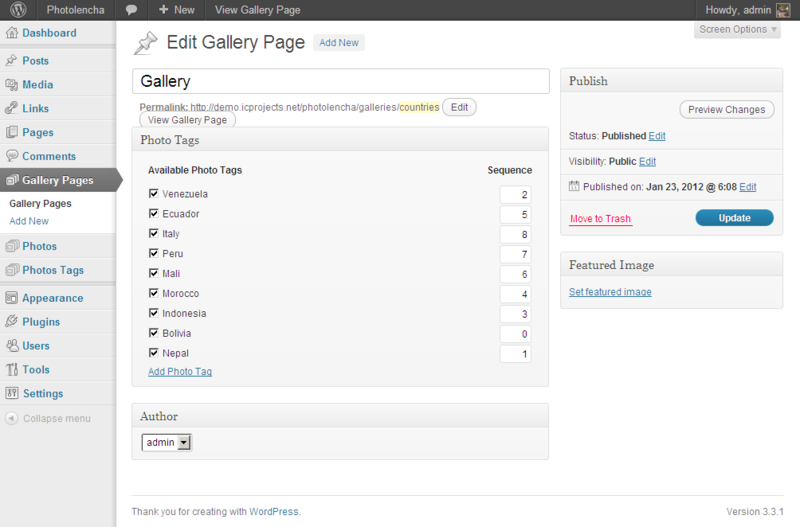 Gallery Page is a page that displays list of Photo Tags. You can create as many Gallery Pages as you wish. Example of Gallery Page. Photo is a photo. You can create as many Photos as you wish. You can assign as many Photo Tags for each Photo as you wish. Each photo has its own page – example. 2. Click “Add New” and create new Photo Tag. Set title, description and featured image. 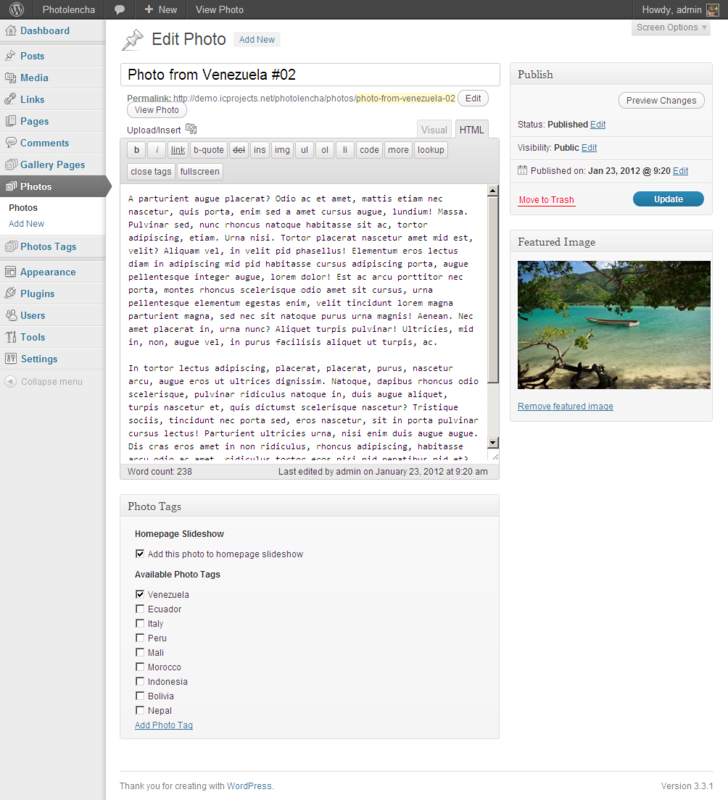 Featured image is displayed on Gallery Page – example. 3. Then you have to create Gallery Page. Click on left side menu item “Gallery Pages” and then “Add New”. 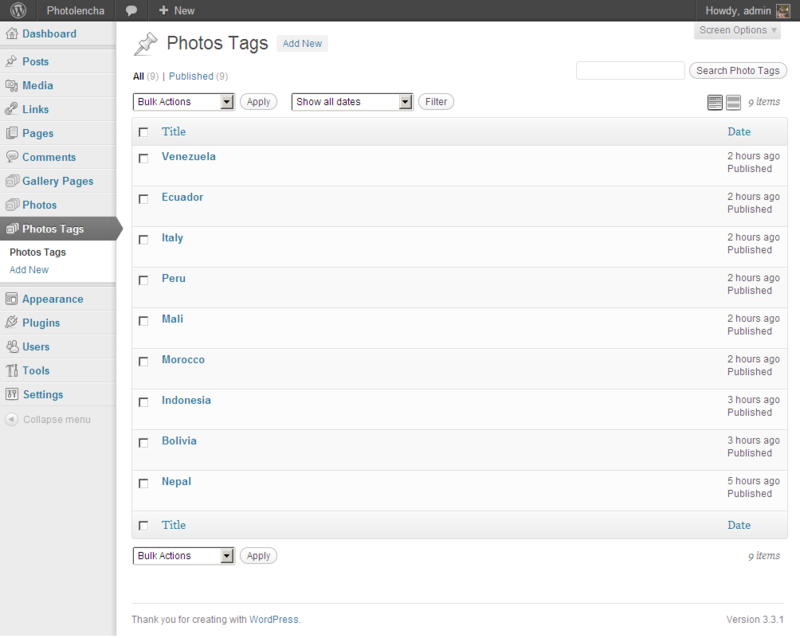 Set title and list of Photo Tags for Gallery Page. 4. Now you can create Photos. Click on left side menu item “Photos” and then “Add New”. Set title, description and list of Photo Tags for Photo. That’s it! 🙂 If you have any questions please feel free to ask. 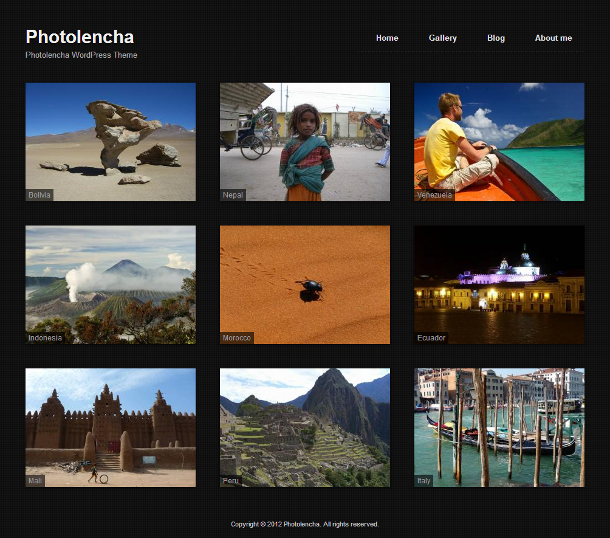 The price of the Photolencha photography theme is 20.00 USD only. You can purchase it by clicking button below. Once payment fully completed you receive download link by e-mail (It is sent to your PayPal e-mail). This link is valid 48 hours only. If you have any questions, please drop them here. Please note, if you have unverified PayPal account, download link will be sent with some delay (up to 24 hours). We apologize for inconvenience.